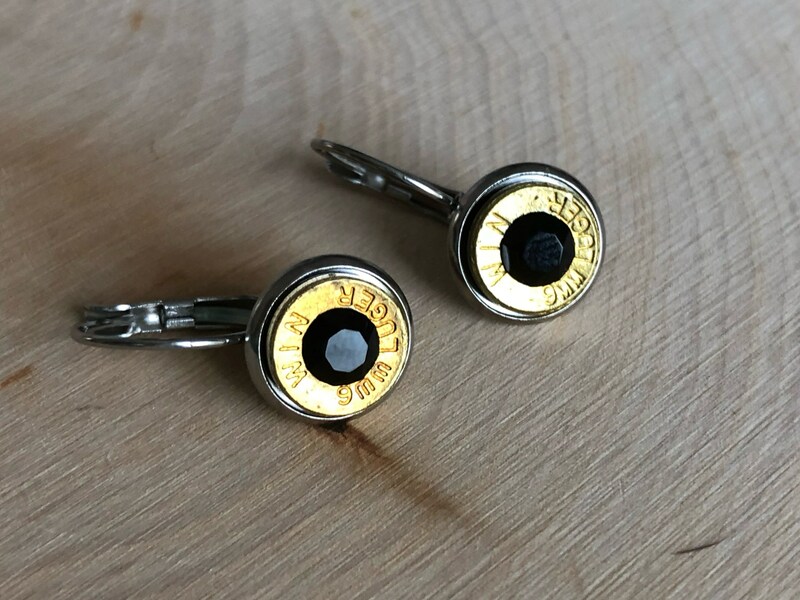 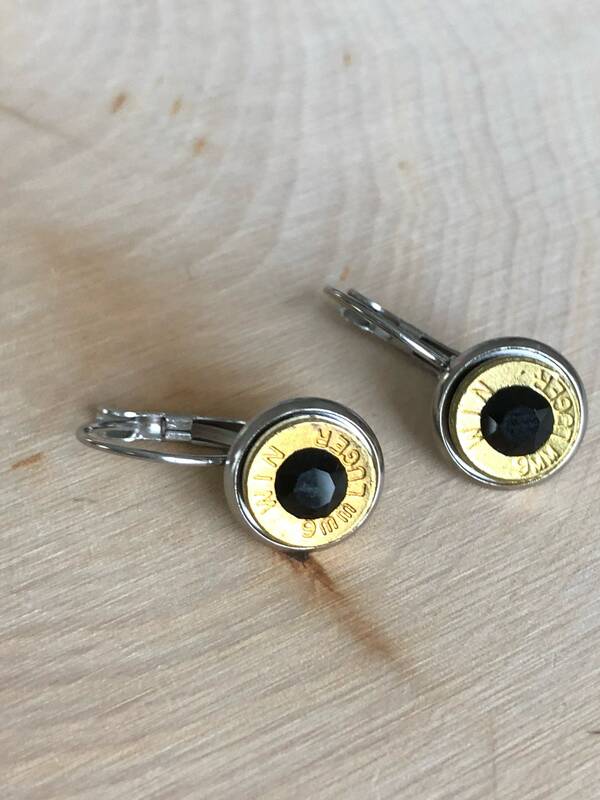 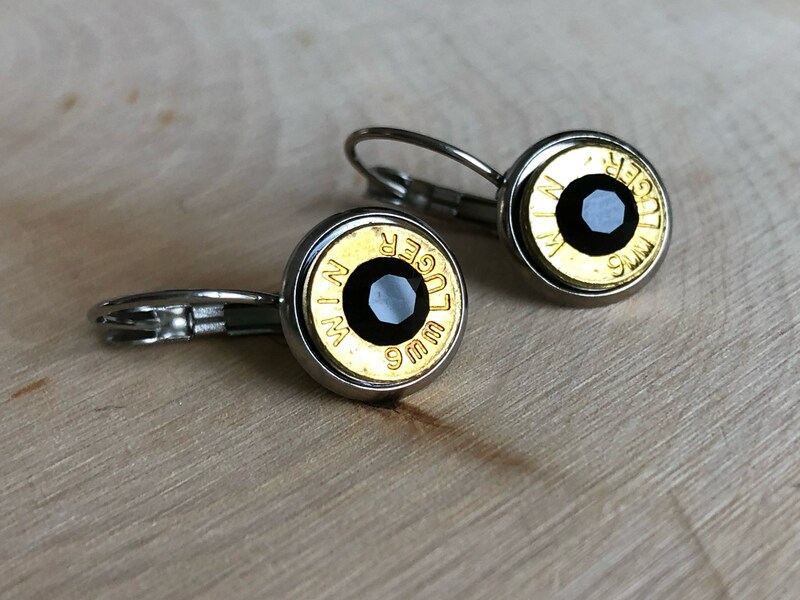 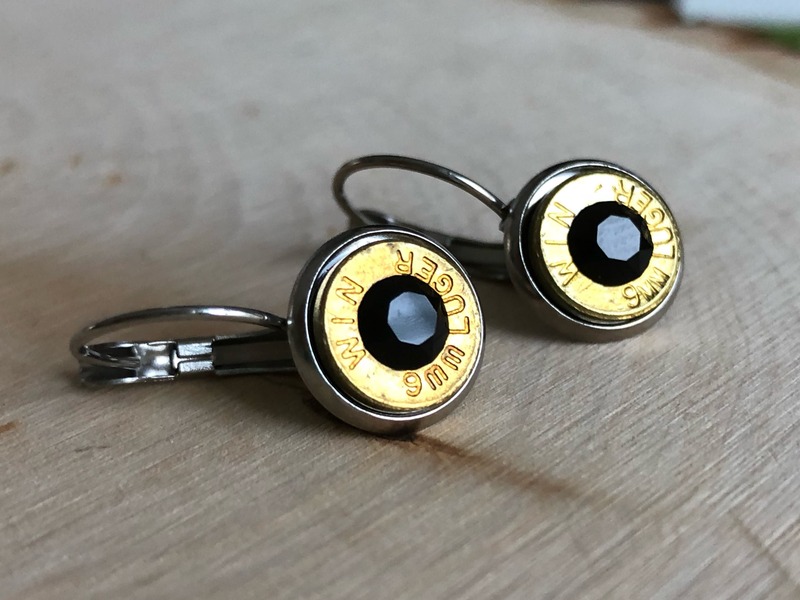 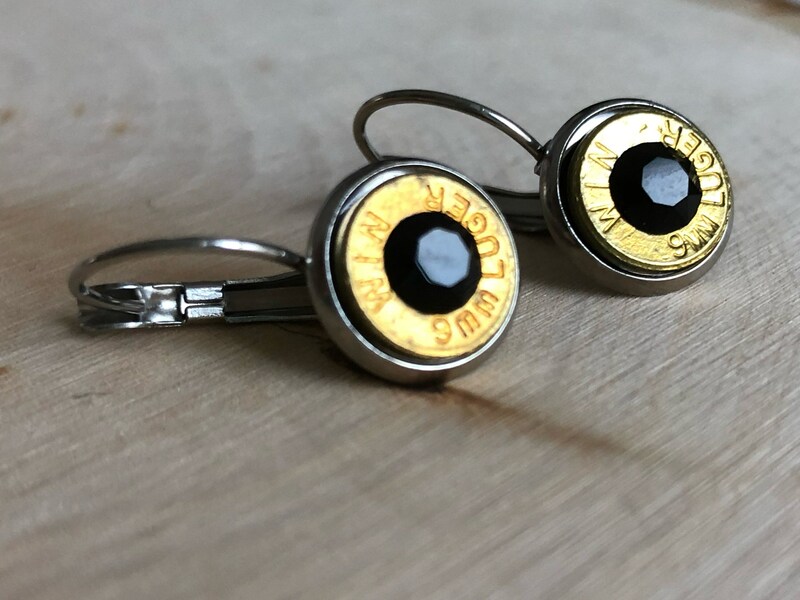 9mm bullet ends with black swarovski crystals in center. 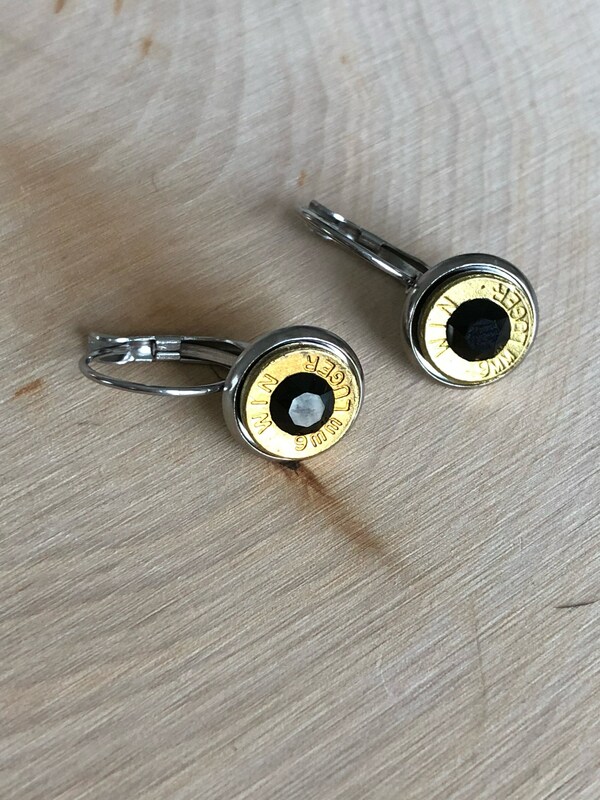 Brass bullet slice. 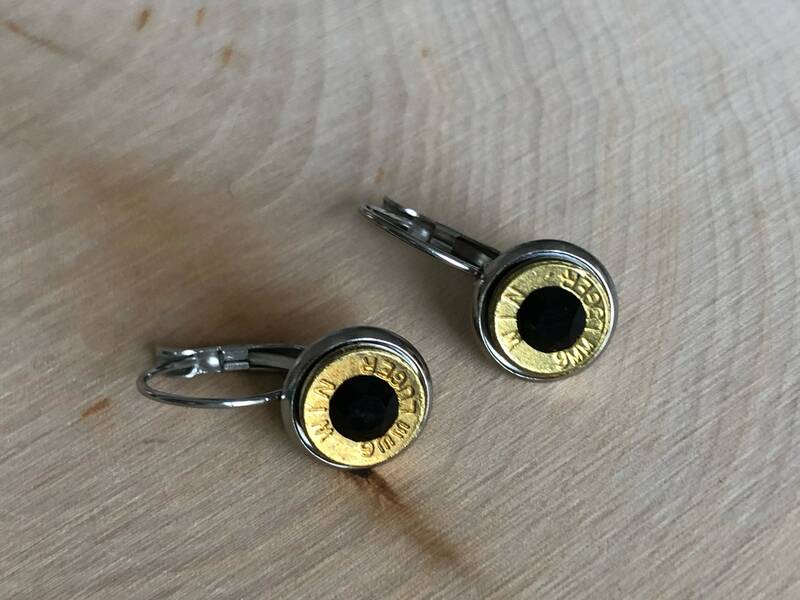 These are from real bullets that have been fired, not replicas. 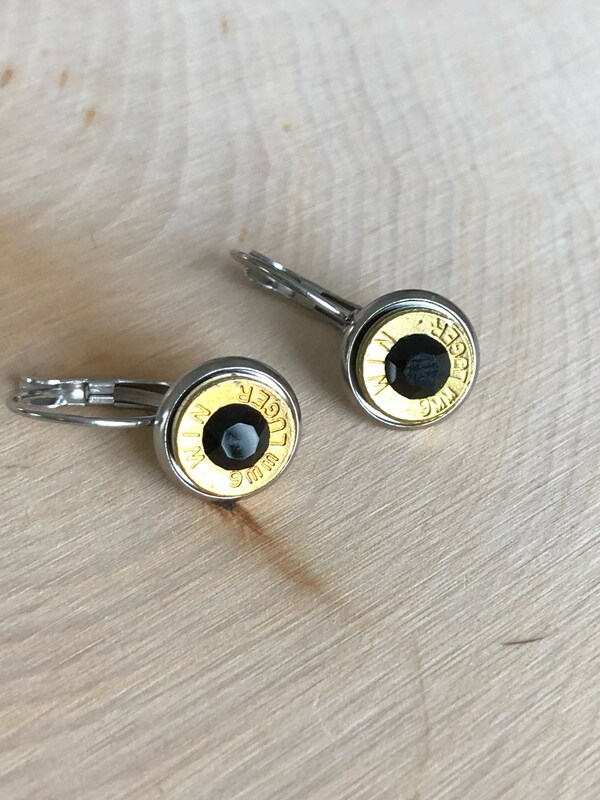 Backs are stainless steel.